Some gardens are designed to amaze. During the Gilded Age, the period between 1870 and 1900 when fabulous fortunes were made, the rich paraded their wealth in ornate mansions and grand gardens that often evoked Italian villas. Gardens of the Gilded Age showcased neatly manicured lawns, sculpted shrubs, stately shade trees, and formal flower gardens. Their owners spared no expense in giving their mansions elegant and elaborate surroundings. Ultimately, the intensive labor needed to support these immense estates was difficult to sustain. The implementation of income taxes in 1913, the onset of the Great Depression in 1929, and labor shortages during both World Wars took their toll. Many Gilded Age gardens disappeared, though some have been saved and are open to the public or owned by private individuals. Gilded Age estate owners graced their gardens with urns, fountains, and other ornamentation that reflected the era’s grand, highly decorated, and eclectic style. Often these features drew heavily from the art, architecture, and fashions of the Italian Renaissance. The Chimneys, summer home of Boston financier Gardiner Martin Lane, featured a prime example of a Gilded Age garden. In 1902 Lane hired Frederick Law Olmsted Jr. (son of the architect of New York’s Central Park and Chicago’s world’s fair) to design a series of gardens for this seaside estate. The Massachusetts Horticultural Society, founded in 1829, awarded the Gardiner Lane estate its prestigious gold medal in 1935. The Lane family, owners of The Chimneys, was actively involved in their gardens. Personal archives and garden journals document more than 80 years of gardening, beginning in 1903, including plant and seed orders from American and European firms. An on-site greenhouse—designed by the Olmsted firm—allowed the family to garden year-round. The estate was often mentioned in popular garden magazines and guidebooks of the time. You can help transcribe The Chimney's garden journal through the Smithsonian's Transcription Center. How-to books on beautifying home and garden were often aimed at wealthy women. In Beautiful Gardens in America, Louise Shelton showed her readers examples of great gardens of the Gilded Age from dozens of cities across the United States. Shelton’s book was one of the first to document historic landscapes in America. 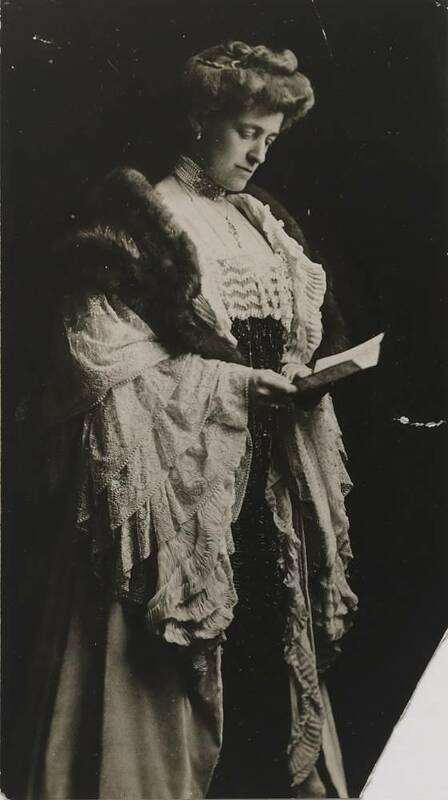 Gilded Age art critic Mariana Griswold Van Rensselaer (1851–1934) authored more than 300 articles on landscape gardening for the weekly magazine Garden and Forest. Her Art Out-of-Doors: Hints on Good Taste Gardening was at one time required reading for landscape architecture students at Harvard. Art Out-of-Doors, first published in 1893, was a re-working of a series van Rensselaer wrote for the journal Garden and Forest. Novelist Edith Wharton (1863–1937) was a passionate gardener and taste-maker. She designed the formal Italianate gardens at her estate, The Mount, in Lenox, Massachusetts, in collaboration with her niece, landscape designer Beatrix Jones (later Beatrix Farrand). Farrand would go on to become one of the most significant landscape and garden designers of her generation. Wharton introduced Americans to Italian gardens in this book. Italianate garden designs were often copied or adapted on large American estates. World’s fairs are occasions to wave the flag, demonstrate excellence, and give millions of people a glimpse of the latest scientific and technical innovations. 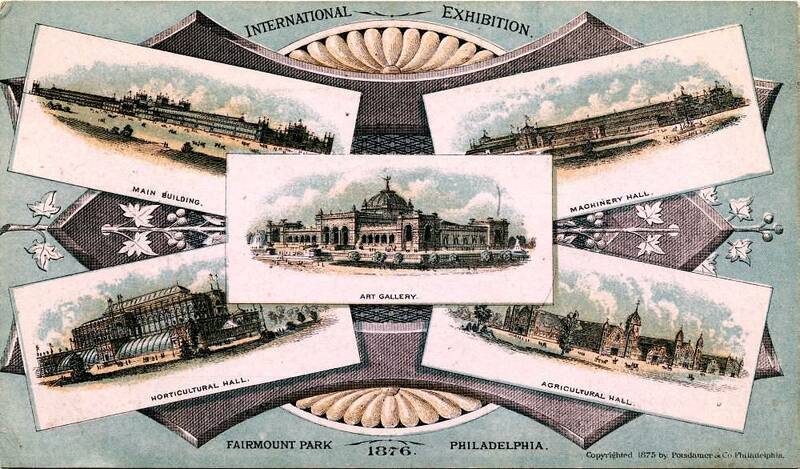 In the United States, two of the earliest and most important fairs—the Philadelphia Centennial (1876) and the World’s Columbian Exposition (1893)—prominently showcased horticulture and garden design. For florists and nurserymen, world’s fairs offered opportunities to advertise their wares to millions. They competed for medals and awards with the aim of garnering publicity and increasing sales. Postcard: Sunken Gardens, Fairmount Park, Philadelphia, Pennsylvania, 1906–1907 Detroit Publishing Co. circa 1906-07. Intricate sunken garden beds in front of the Philadelphia Centennial’s Horticultural Hall, which visitors could view from elevated walkways, remained as key features of Fairmount Park. This style of gardening was typically paired with large expanses of lawns in public parks and wealthy estates. Garden designers were encouraged to pull out all the stops and create lavish displays. Hothouses bursting with tropical plants and flowerbeds as intricate as oriental carpets were symbols of American abundance and know-how. The landscaping of the fairgrounds inspired home gardeners and had a lasting effect on America’s public parks. Many world’s fair sites remain as public parks, including Fairmount Park in Philadelphia, Audubon Park in New Orleans, Jackson Park in Chicago, Delaware Park in Buffalo, Forest Park in St. Louis, and Flushing Meadows in New York. The first major World’s Fair in the United States was held to celebrate 100 years of American cultural and industrial progress. The grounds, designed by German-born architect Hermann J. Schwarzmann, occupied 285 acres in Fairmount Park overlooking the Schuylkill River. The Philadelphia Centennial attracted nearly 10 million people at a time when the population of the United States was only 46 million. Admission to the fair was fifty cents, which in today’s dollars is roughly the equivalent to a ticket to the movies. The glass and steel Horticultural Hall occupied a hill that gave visitors sweeping views of city and countryside. Inside were masses of plants and elaborate agricultural displays. The Hall was the smallest of the Centennial’s five grand buildings, but it drew enormous crowds. Garden Beds leading to the Hall combined a mixture of plants, colors, and textures that showcased the Victorian era’s love of ornamentation. People who couldn’t get to the early fairs could still enjoy the show by means of a stereoscope. When viewed through this device, a card (called a stereograph) holding two slightly different photographic images presented a three-dimensional scene. Large displays of lush and exotic palms, highly favored during the Victorian era, were a highlight of the plant exhibits. Masses of cherished favorites, such as chrysanthemums, enchanted visitors. Outside Horticultural Hall, elaborate flower beds were arranged in intricate designs. The style, called carpet bedding, imitated the patterns of oriental carpets. Attended by more than 27 million people, the World’s Columbian Exposition marked the 400th anniversary of Columbus’s landing in America. Covering some 630 acres, the layout integrated architecture with the landscape, a formula that influenced beautification efforts in cities across the United States. Frederick Law Olmsted, considered America’s first landscape architect, designed the grounds. Olmsted painstakingly laid out views he wanted visitors to experience. An aquatic plant display was among the many exhibits outside the Horticulture Palace. Others included a small-scale California orchard and a desert garden. Inside the hall were exhibits of fruit, ornamental plants, gardening tools, and seed displays. Portfolio of the World’s Columbian Exposition, Chicago, 1893. Olmsted placed the Horticulture Palace across the lagoon from the Wooded Island, creating a handsome naturalistic backdrop for the fair. Later world’s fairs brought the American public a host of new plant hybrids and gardening innovations, ranging from modern and futuristic garden designs to outdoor lighting, a big innovation at the Panama-Pacific Exposition. But after the New York fair of 1939, American enthusiasm for world’s fairs dropped off. At San Francisco’s Panama-Pacific Exposition, a three-acre Japanese garden helped popularize Japanese-style gardening on the West Coast. Gardens, buildings, and pools were illuminated by a nightly light show called the Electric Scintillator.